Marcelo Garcia shows his preferred method of navigating around the rubber guard. 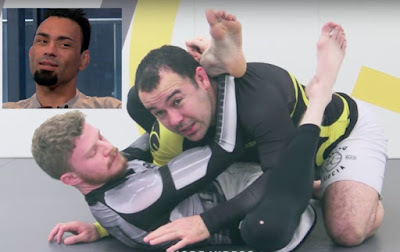 The Rubber guard sometimes referred to as Mission Control is a Brazilian Jiu-jitsu technique, which involves the practitioner ‘breaking down’ the opponent into the rubber guard, while maintaining a high level of control. It utilizes extensive flexibility to control the opponent with one arm and one leg. The opposite arm in turn is free to attempt submissions, sweeps or to strike the trapped head of the opponent. In video, Marcelo Garcia (5xADCC champion and multiple BJJ world champion) shows the rubber guard.